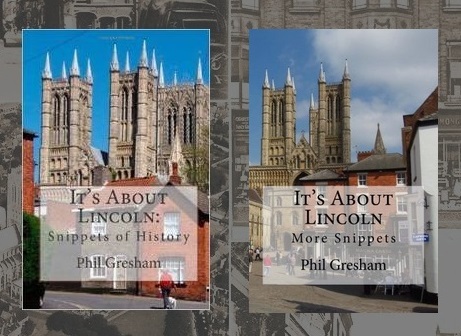 have helped shape it, the companies that have grown with it and all things that are the essence of Lincoln. Lincoln was a very important place during much of the medieval period, visited by kings throughout the medieval period, several parliaments were held here and King John visited on no less than six occasions. Henry II visited in 1157 and held a crowning ceremony on Christmas Day at St Mary's Guildhall, which is believed to have been constructed for Henry as a royal town house. Henry probably used this second crowning as a way of securing the support of his noblemen prior to his departure for Flanders, where he was guardian of the lands of Dietrich of Alsace. His Coronation had taken place in London on 19th December 1154. A medieval Christmas was a much different affair to Christmas today, the word Christmas is derived from the Saxon “Cristes Maesse”, meaning “Festival of Christ”, the Church ensured it was a true religious holiday, gift giving was banned by the Church as a pagan custom and the tradition of outdoor carol singing began because the church would not allow carols to be sung in churches, the archaic meaning of the word carol is “to sing or dance in a circle”. The rich would eat goose and venison on Christmas Day and, with the king's permission, swan; woodcock was another popular bird. Turkey did not arrive in England until the mid 16th century. The poor would have a much meaner Christmas, their lord may donate the “humbles” or offal of his Christmas deer and they would eat Humble pie. A food that has come to us from this time is the mince pie, made with shredded or minced assorted meats, spices and fruit, the pie would be in the shape of Christ's crib. It was considered lucky to eat one mince pie on each of the twelve days of Christmas. December 25th was originally a pagan festival to celebrate the forthcoming better weather and longer days, first adopted by the Romans as "Saturnalia" and later by the Roman Catholic church as Christmas or, as it was sometimes known, Xmas, the X is the Greek letter for "Chi" and Christ. Boxing Day was traditionally a time when the rich provided gifts for the poor, usually money in a pot with a slit in the top, these pots were called “piggies”. Christmas day was a quarter day when rents were usually due, so this Boxing Day tradition was generally welcomed by the poor. It's About Lincoln has its own group on Facebook where you can read about the county and contribute to the growing knowledge of our members or just read the posts. Very good piece and a splendid photo. You offer a lot of relevant and interesting detail too. Humble Pie. Didn't know that one. Excellent. Thanks Dan, pleased you enjoyed it. Where was the Bail Gate?